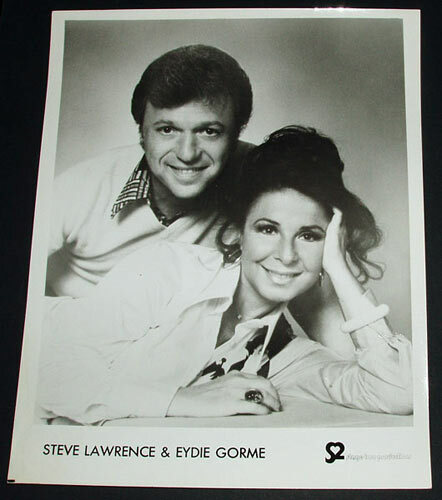 This vintage print of Steve Lawrence and Edye Gorme came from the used photo files of the Vegas Visitor. It is a promo print like the ones handed out to newspapers and magazines for publicity purposes. Steve & Edyie made many Las Vegas appearances since they first hit the stage together at the Sahara Hotel in March 1961. This appears to be many years later, but since it has been in the archives for 30 years that I know of we can only guess its date. The 8x10 glossy print is in perfect shape.